Santa Monica, CA — March 12, 2018 — Edmunds, the leading car shopping and information platform, today announced the 2018 Edmunds Five Star Dealer Awards, recognizing 363 car dealers nationwide for their outstanding customer satisfaction ratings. This year, Edmunds also honored 25 dealers with the prestigious Edmunds Five Star Premier Dealer designation, which recognizes the dealers with the highest overall satisfaction ratings. To be eligible, dealers must participate in the Edmunds Dealer Partner program and must have earned at least 30 five-star sales reviews on Edmunds over the past two years, up from 20 reviews in 2017. To earn the new Five Star Premier designation, dealers must have earned at least 150 five star reviews over the past two years. Additionally, both Edmunds Five Star and Edmunds Five Star Premier dealers must have maintained at least a 4.5-star average continuously between January 1, 2016, and December 31, 2017, to qualify. “Earning Edmunds Five Star Premier status is a rare feat — less than 1 percent of Edmunds’ dealer partners ever reach that milestone. The 25 dealers that achieved this pinnacle in 2018 represent the best-of-the-best in their industry and a willingness to go above and beyond for their customers,” continued Steinlauf. To find the full list of 2018 winners, visit the Edmunds’ Dealer Center. Edmunds Five Star Dealerships are organized by state, making it easy to find local winners. 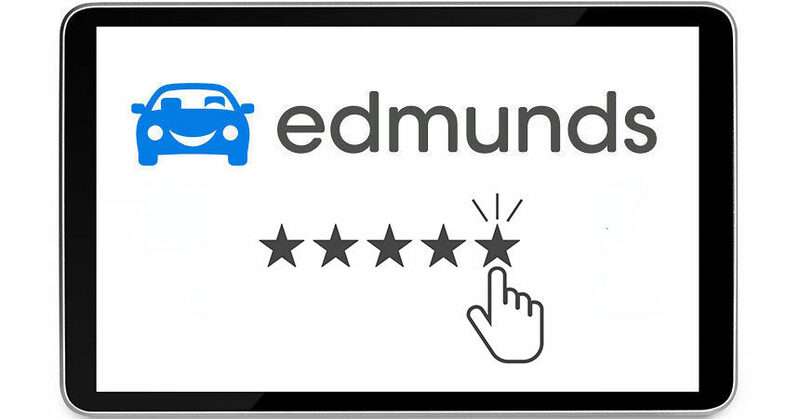 Car shoppers can look up the reviews and ratings for any dealer in their area on the Find a Dealer page on Edmunds.com. Winning dealerships are distinguished by the 2018 Five Star Dealer badge. Edmunds is on a mission to make car buying easier. With industry-leading vehicle reviews and shopping tips from an in-house team of experts, plus a 20-year-old forums community of car shoppers and enthusiasts, Edmunds helps millions of shoppers each month find their perfect car. Edmunds provides transparent pricing from thousands of dealers and continually embraces new technologies to help shoppers buy smarter. Regarded as one of America’s best workplaces by Fortune and Great Place to Work, Edmunds is based in Santa Monica, California, and has a satellite office in Detroit, Michigan. Follow us on Twitter, Facebook and Instagram.